Could you really eke out an existence on the country roads of post-nuclear West Virginia? We still had a lot questions about Fallout 76 even after its extensive reveal at E3 this year. Some of those were mechanical: is it still going to feel like Fallout in multiplayer? Can players opt out of being nuked by their rivals? How is questing going to work without NPCs? Others, however, were beyond Bethesda’s area of expertise. Questions of science. For answers to those, we sought out a nuclear physics expert – Professor Paddy Regan. He teaches and researches the structure of matter at the University of Surrey. Regan also measures radiation at the National Physical Laboratory for the benefit of those working in the fields of nuclear waste and pharmaceuticals. As such, he’s perfectly placed to answer our questions about Nuka-Cola and Scorchbeasts. Even if he hasn’t been patrolling the wastes himself. Would it be safe to leave the bunker? 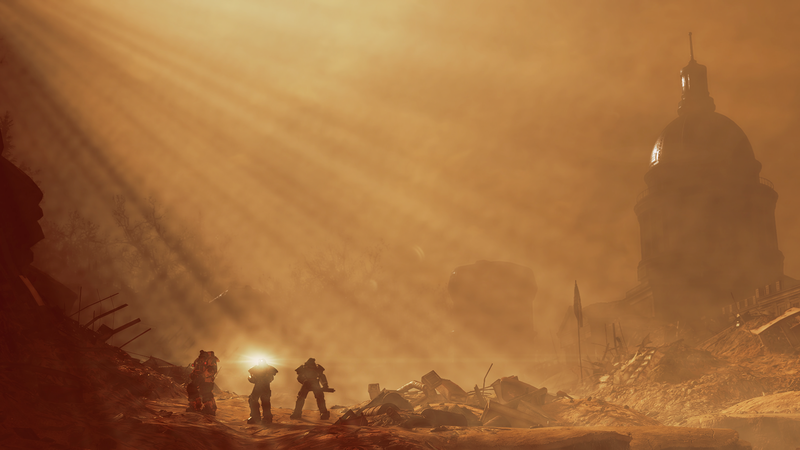 What’s striking about Fallout 76’s setting is just how recent its nuclear history is. 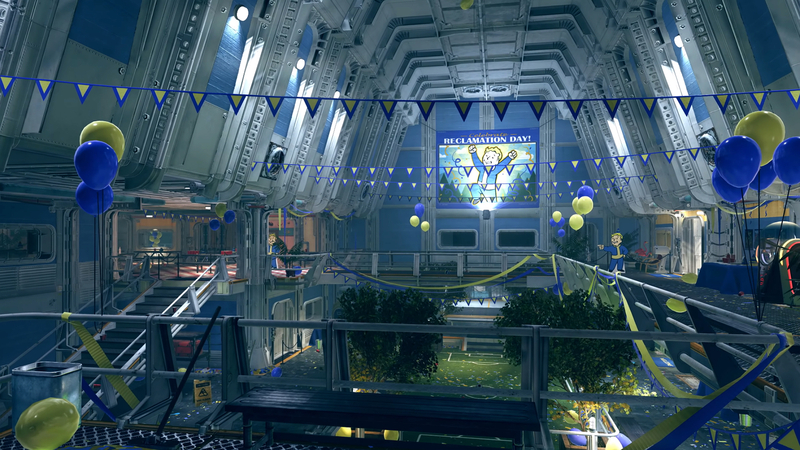 While Fallout 4 gave us a front row seat to the nukes, the bulk of the game took place 210 years on from when they went off. This time, by contrast, we’re emerging from the bunkers just 25 years after the bombs have dropped. What will that mean for our precious skin, most of which we’d like to keep attached to our faces? That iconic mushroom cloud? It gives you a pretty good picture of what’s happening in the immediate aftermath of a nuclear detonation. Most radioactive material shoots straight up into the troposphere – the upper layer of our atmosphere – where it’s swirled around the world by strong winds. In fact you can find evidence of that on Earth today. The nuclear weapons tests carried out in the 1950s and 60s by the UK, US, and USSR pushed enormous amounts of radioactive fallout around the planet – even to spots like Antarctica, far from any bomb sites. Those are Caesium-137 and Strontium-90, if you really want to impress your friends. And they can be nasty – Strontium-90 in particular can cause bone cancer. But the odds of encountering dangerous radiation in the wilds of West Virginia 25 years on would be pretty small. How is West Virginia still so green and leafy? 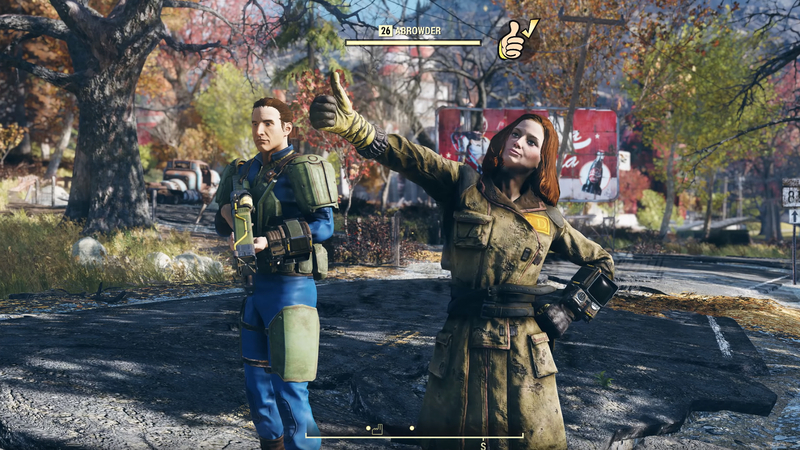 While Bethesda’s previous Fallout games have found focal points in major American cities – DC, Vegas, and Boston – West Virginia is famously made up of country roads. As such, the map in Fallout 76 has not been subjected to any direct nuclear pummeling. Not before players get there, anyway. That’s left us with a palette of healthy greens and autumnal browns, rather than the toxic shades we’ve become accustomed to. Landmarks are intact and homes still standing, if empty. In that aspect at least, Fallout seems to be true to reality. Although the hydrogen bombs tested by the British have had an explosive yield about 100 times more powerful than those that dropped on Hiroshima and Nagasaki, they still produce explosions ‘only’ four or five miles across – leaving the surrounding area intact, at least to the naked eye. The accompanying EMP pulse, however, could cause lasting damage on a far greater scale. As for the environment – there’s reason to believe it would fare better after nuclear war than before. In the aftermath of the Chernobyl disaster, radioactive fallout was spread over a large, localised area that was deemed uninhabitable for humans. Modern hydrogen bombs "have a yield not in kilotons, but megatons, which is millions of tons of TNT". That term familiar at all to Fallout 3 players? Could you eat the Cram and drink the Nuka-Cola? Most food and drink in the Fallout games come with a side helping of radiation damage. That’s particularly pertinent in Fallout 76 where, for the first time, hunger and thirst appear not to be optional levels of difficulty but integral parts of the game. That kind of process doesn’t actually make the food radioactive. If food was treated to a big dose of neutrons in the aftermath of a nuclear attack, however, it could wind up that way. And the same would be true for any fish or crabs taking up nuclear material and transmitting it up the food chain to humans. So go easy on the mirelurk meat. Exactly how likely would you be to meet a Scorchbeast? 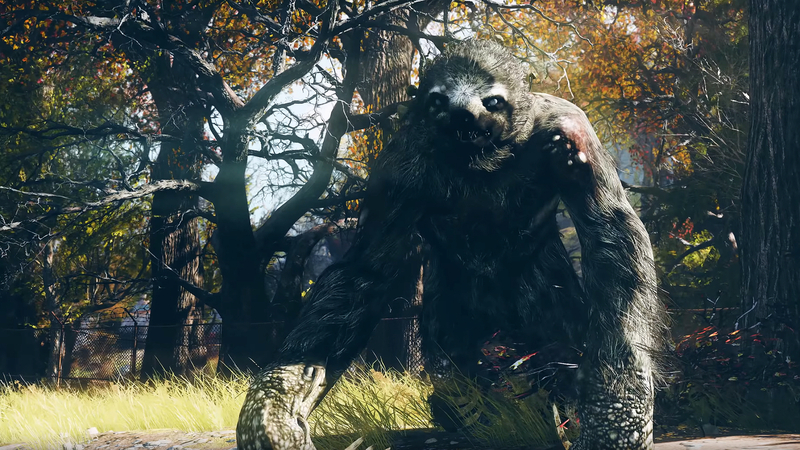 Fallout 76 features some of the strangest creatures in the series to date. Winged, wyvern-like monsters own the skies, while oversized insectoid eyes light up the woods like huge, orange orbs. The justification for this upsurge in folklorish freakery is the timeline: these hideously mutated creatures are created by the immediate aftermath of nuclear war. By the beginning of Fallout 3, the environment can no longer support them and they have died out. But does science have Bethesda’s back? Some science, like the post-war ‘mega-mouse’ project in which a colony of rodents was dosed with radiation, does suggest that abnormalities may show up in later generations. Which is all bad news for those of us hoping to live to see a Deathclaw IRL. Sorry, everyone.